i just got a pair of DC Audio LVL 2 8" subs today, these are really nice little subs, 300 rms/600 peak power handling and weigh around 17 lbs. all the specs are here http://www.dcsoundlab.com/specs.html i am really impressed with how beefy they are, i'll try to get more pics and vids when they get in my Si. those look pretty nice man. what enclosure are you planning? 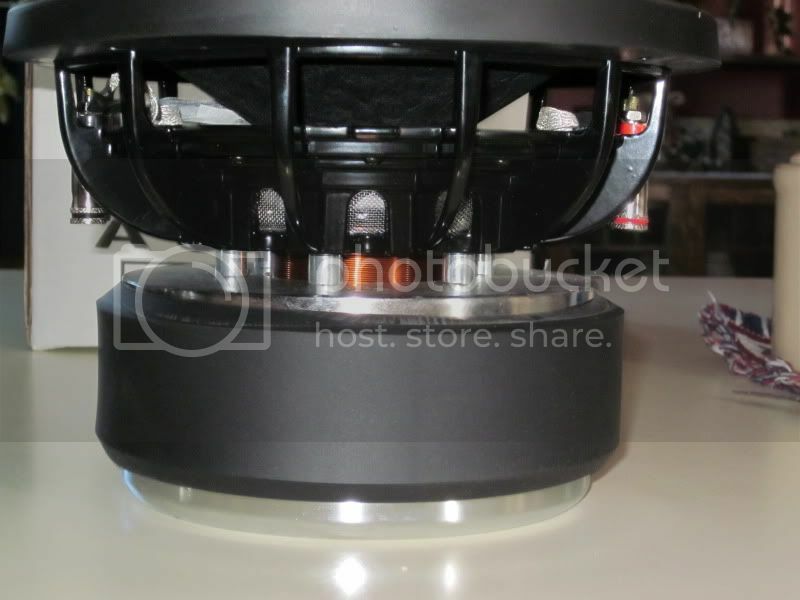 just a small sealed one with a Rockford Fosgate Power T5002 pushing them, nothing crazy. DC Audio is awesome. 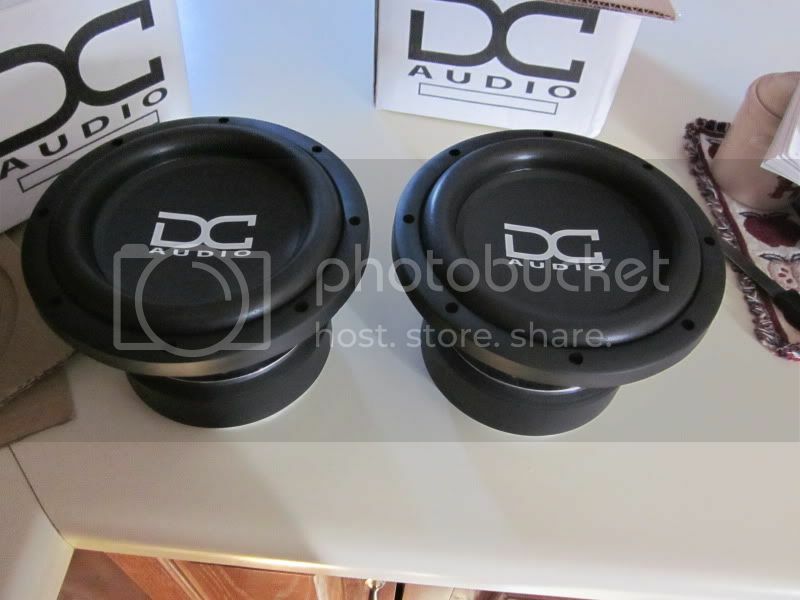 I also like Audio Q.
DC is one of the most popular brands in the competition world. they are also great everyday subs and now with the release of their amplifiers, they have everything you need. how much did you get these for? Are you mistaking these for JL's? seriously? i have never seen JL at a show yet. i am talking about SPL comps, not SQ ones, even though DC subs sound great. you can get them for around $135 each. I guess you have been to different shows then. JL Audio has been around since 1975. As for DC Audio....??? A few years ago, perhaps. I will stick to a WORLD RENOWNED PRODUCT....thanks. Seriously?? You can stick to whatever you want, world renowned doesn't make it great. not trying to pick a fight or start anything, but to each their own. i personally do not care for JL and would not want the name associated with my shop. then again, i'm a dealer for Arc Audio, Hybrid Audio, Audison/Hertz, and Ultra Subs, so what do i know. been looking into Carrying DC Audio, but seems to be pretty available online, which isn't exactly good for Brick and Mortar stores. Check into FI and Sundown. They make better stuff than DC. DC has some decent stuff, though. Sundown Audio is the ****. All those brands are good. FI, DC, AudioQue, Sundown. All awesome SPL sub makers. You should talk to Rusty, DC Audio's owner, the only time they will sell online is when you don't have a dealer near you. JL has been around forever, but until they win something and make a sub that can handle more then a 1000 watts they mean nothing to the SPL world. you'll have to email DC Audio or find a local dealer, all i know is MSRP is $155. They just recently teamed up with woofersetc. Remember this, Sundown will be a HUGE audio company in the next 5-10 years. my point exactly. why would i want to sign up with a company who actually sells factory direct woofersetc. maybe i'll look into DC. they seem to have a pretty well setup product line.